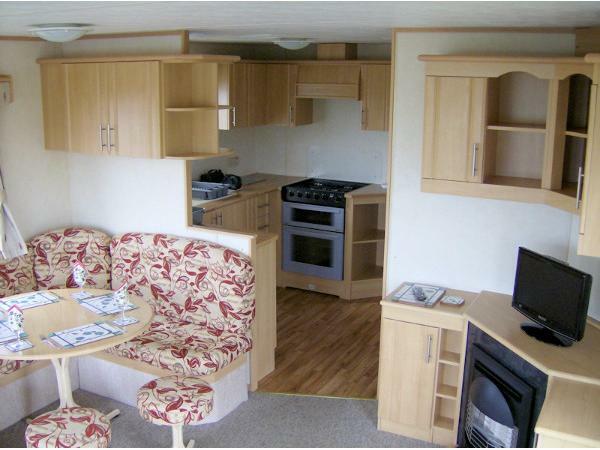 Additional Info: Sandpiper is an ABI Sunrise caravan, 36ft long by 12ft wide, with three bedrooms and panel heating. Positioned near the path to the beach and within walking distance to the park's main facilities, this is a convenient central location. 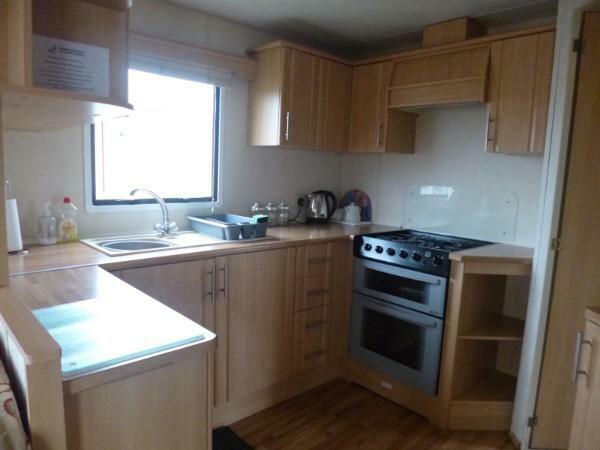 The caravan also offers an outside patio with a tarmac parking space. To secure a week and take it off the internet, the deposit is £100.00 (non-refundable if a week is cancelled). The remaining balance would be payable six weeks before the arrival date. One week before the arrival date, we would also require a Key and Damage Deposit of £100.00. This amount will be returned by bank transfer if the caravan has been left clean and tidy with no breakages. 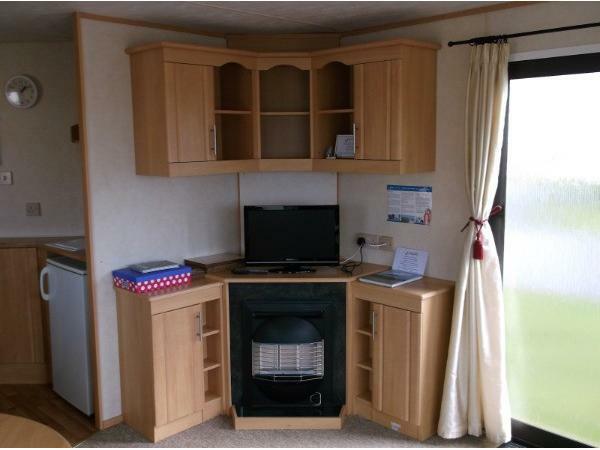 Welcome to Sandpiper (22 St Piran's Close), an ABI Sunrise caravan, 36ft long by 12ft wide. Now taking Sat to Sat bookings for the 2019 season mid March until Nov. 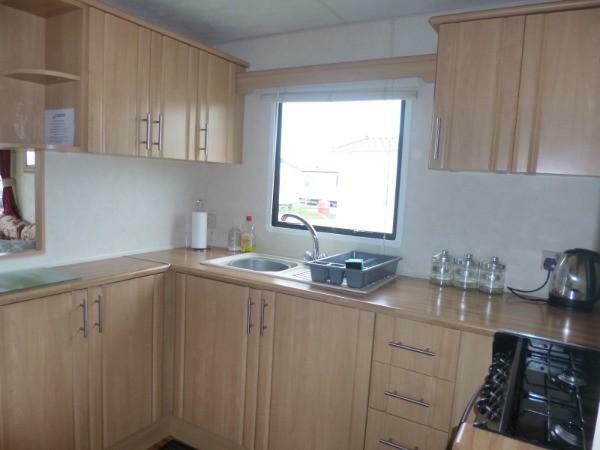 Situated near the path to the beach, Sandpiper offers a spacious lounge, fully equipped kitchen, 3 bedrooms (two twin and a double) with panel heating, and a shower room with a WC and heated towel rail.. 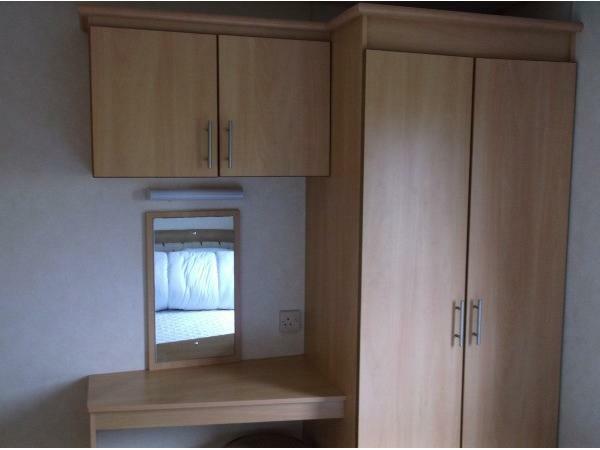 This eight berth caravan also offers a patio, picnic bench (not pictured), tarmac parking space and outside tap. In the lounge there is a Flat Screen TV (with a DVD player) and a gas fire. There is also a double bed stored beneath the sofa. From the lounge is access to the kitchen, where you will find, an oven and hob, microwave, toaster and fridge (with an ice box). Duvets and pillows are provided but please take bed sheets, duvet covers, pillow cases, towels, tea towels and dish cloths. 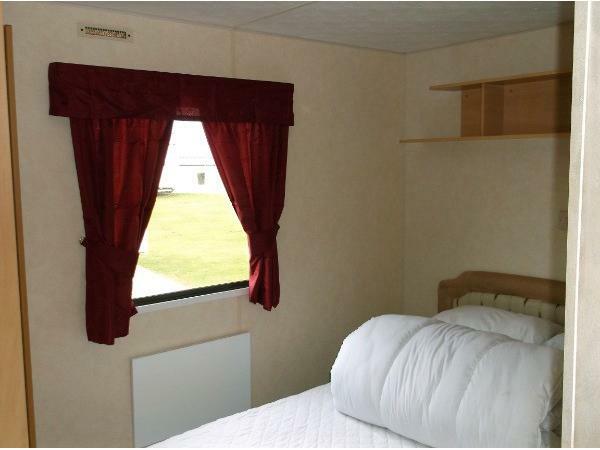 Alternatively, bed linen can be hired from the Hire Shop at Perran Sands for £10.00, per bedroom, plus a refundable holding deposit of £10.00.. Inside the caravan will be a Welcome Pack including a map of the park with bus and tide times as well as leaflets about places of local interest. (eg Newquay Zoo, The Eden Project, The Lost Gardens of Heligan, Land's End). If your family would like to use the swimming pools, children's club, leisure and entertainment facilities at Perran Sands, you will need to purchase Funworks passes. These can be arranged at the time of booking your holiday, through us, or you may wish to purchase them when you arrive at park. 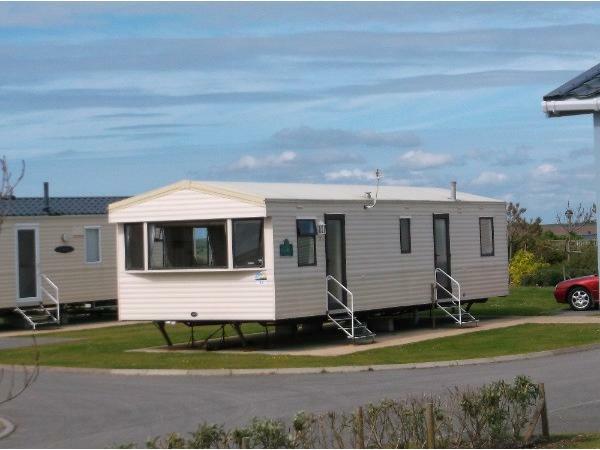 Perran Sands Holiday Park offers exhilaration, space and tranquillity. Nestled amid the 5000 year old Penhale Sands, the park sits on this unique landscape of towering sand dunes with direct access to a spacious, clean, sandy beach pounded by the wild Atlantic breakers: this is a surfer's paradise. There is a surf school on site which provides surfing lessons and equipment hire. The village of Perranporth can be reached by walking along the large wide beach, at low tide, or by car or bus. Here are many unique shops and local cafes. There are plenty of gift shops too. The village also boasts a boating lake amid tropical gardens. Spectacular views of the beach can be seen from the sundial near the car park at Droskyn Point. Down below are hundreds of rockpools and caves once haunted by smugglers. There is a tidal pool at Chapel Rock, close to the Watering Hole pub, which is on the beach itself. Both the local museum and tourist information centre have a wealth of maps and leaflets about the local history and local places such as the lost church in the sand dunes which is also an area of Special Scientific Interest. Whether you want to go horse riding, golfing, paragliding, surfing, or generally splashing around this is the place to be. How to Book: In the first instance, please contact us to confirm availability. If you wish to book, our information pack and booking form is available online, by email or post. 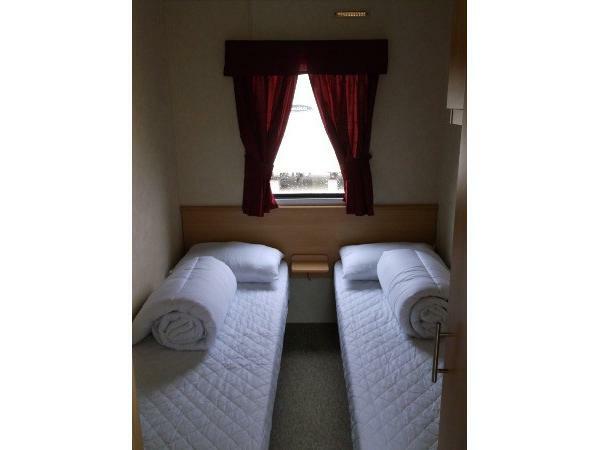 A non-refundable deposit of £100.00 would be required to secure a break or seven nights or less. The remaining balance would be payable six weeks prior to the arrival date. If the arrival date is within six weeks, full payment would be required at the time of booking. Key & Damage Deposit: One week before the arrival date, we would also require the Key & Damage Deposit of £100.00. This amount would be returned to the booking holder by bank transfer, on the departure day, if the caravan has been left clean and tidy with no breakages.